"You said absurdity," said Wabsworth. "I did nothing of the sort," said the Wabbit. Wabsworth ignored him and exclaimed, "This is the wind window and you get a great point of view with extra special effects." The Wabbit's ears flattened as the wind tore at his fur. "Are we really in a small plane with no windscreen?" "Virtual reality," said Wabsworth. 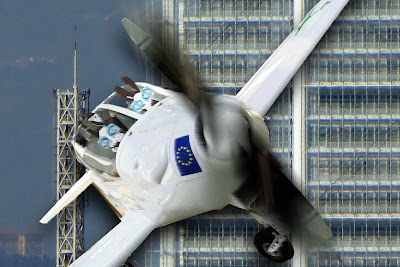 "We're quite close to that building," warned the Wabbit. "Nothing but pixels," said Wabsworth. "What are we sitting on then?" asked the Wabbit. "Pixels," said Wabsworth. The Wabbit's stomach rumbled. "Got anything to eat?" he asked. Wabsworth took a salad sandwich from under the seat. The Wabbit grabbed it and tore at it frantically with his teeth. "It's not very tasty," he grumbled. "Pixels," said Wabsworth. "It's like cardboard and lubricant," complained the Wabbit. "I did my best," responded Wabsworth. "Well, at least it's not raining," said the Wabbit. Wabsworth pressed a switch on the instrument panel and a spray of minute particles hit the Wabbit's face. "Pixels?" asked the Wabbit. "I worked hard on that one," said Wabsworth. Now the Wabbit was existentially tired. "Where and when will we land?" he snapped. "I never got to that," said Wabsworth. "I'm expressly feeling a state of angst," moaned the Wabbit. "Excellent!" shouted Wabsworth. He reached under his fur and pressed something. The plane disappeared and they seemed to hang in space. "How do you feel now?" he asked. "My self is authentically irritated," gasped the Wabbit. Wabsworth became completely still and the Wabbit looked over his shoulder in case anything was wrong. "Nothing's wrong," said Wabsworth. "I just changed your point of view." The Wabbit put his paw out just in case his fur was wet. But it was bone dry. "I've been experimenting with virtual reality," said Wabsworth. "Good wheeze," shrugged the Wabbit; "So what about some water?" Wabsworth's circuits whirred momentarily. The air became distinctly damp. "That's as far as I got there," apologised Wabsworth. He paused. 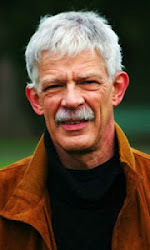 "It gives you a point of view change in the physical sense, but not in the existential sense." The Wabbit breathed a sigh of relief. "OK, I had enough wet for now." "I'll turn it off," said Wabsworth. His circuits whirred again but nothing happened. Wabsworth made several unsuccessful attempts. "We're stuck in the rain," grumbled Wabsworth. "Maybe we should sing," quipped the Wabbit. They sang several verses of Singing in the Rain but the wet was still with them. "Maybe the desert will work," said Wabsworth. His circuits whirred alarmingly and there was smell of burning metal. Now it was very hot but the wet remained. "This is like Panama when the rain stops," moaned the Wabbit. "I'm still in the trial stage," said Wabsworth. The Wabbit nodded gravely. "We could try an existentialist change," suggested Wabsworth. The Wabbit shook his head vigorously but Wabsworth pretended not to notice. "Angst or absurdity," queried Wabsworth. "I already do both," groaned the Wabbit. Wabsworth bumped into the Wabbit by a corridor window in the Department of Wabbit Affairs. Wabsworth started as an exact android copy of the Wabbit - but time had elapsed. Now he was very much his own android and knew all the Wabbit's faces. Some of them Wabsworth was born with, some of them he'd copied and some of them he'd adapted. But this was an expression he couldn't do a thing with. "Penny for them?" he asked, touching the Wabbit's shoulder. He tried to hide a smile but the Wabbit half grinned. "I'm looking for a window of opportunity." Wabsworth shrugged and then turned theatrically to squint out the window. "They should replace this glass." The Wabbit was horrified. "It's sixteenth century!" Wabsworth looked again and nodded gravely. "Yes, yes of course. It does offer a different perspective." With their noses pressed to glass they both squinted out. A few moments elapsed. "Can't make out a thing," said the Wabbit. "Neither can I," said Wabsworth. 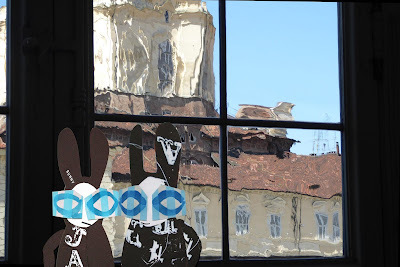 The Wabbit shook his head like a donkey and murmured; "Now I can see your point of view." They stood in silence for a while. Voices echoed in the corridor. Traffic noise found its way through the glass. "Maybe I lost my point of view," said the Wabbit. "Maybe it's only mislaid," commented Wabsworth. "Maybe it's gone forever," answered the Wabbit. 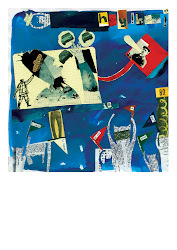 Wabsworth's processors searched quietly and then he poked the Wabbit in the ribs. "Maybe I still have a copy." The team gathered at the Safe House. It was medieval and seemed the most appropriate place. Skratch was well in character, purring and waving both paws at the table for attention. "Ariel, bring a corollary rather than want a spirit!" "Oooh, am I Ariel?" Lapinette lips puckered and she made a pert face. "You're Miranda," said Wabsworth, "and since I am closest, I must be Ariel." "I'm not sure who I am," murmured the Wabbit. Lapinette laughed. "Don't be so stodgy, Wabbit. Maybe you're the rainbow-bearing messenger sent by Juno." Now the Wabbit cheered up. "Then I'll get the drinks in!" He made to get up for the kitchen, but Skratch stopped him. "First Wabbit, tell us what was that for a sort of Adventure." "Postmodern," shrugged the Wabbit. "He says that about everything," laughed Lapinette. "It was a pastiche of two forms, the latter an adaptation of the former," said Wabsworth. "That is indeed postmodern." Wabsworth's voice was firm. He glanced at the kitchens and held up a paw. Four drinks arrived. The Wabbit grinned and sat down. "It's sour wine and mead, flavoured with honey," smiled Wabsworth. The Wabbit rose again and disappeared to the kitchen. "It's prosecco," whispered Wabsworth. 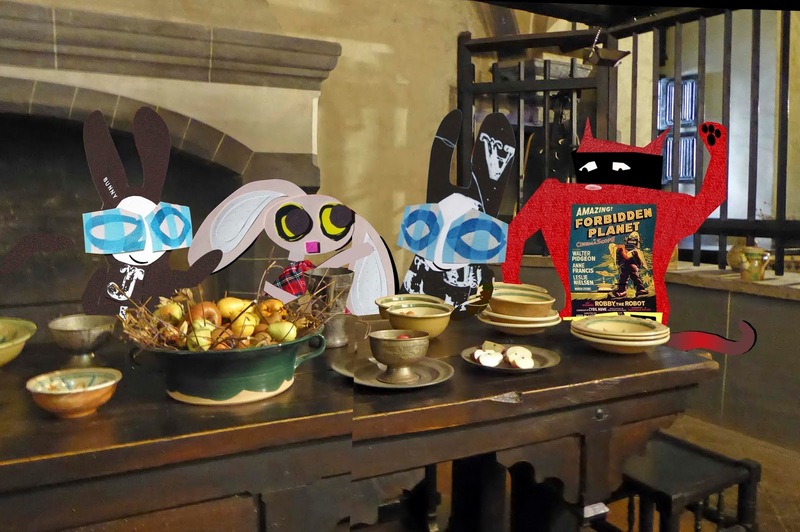 They all laughed as the Wabbit returned with four glasses which he placed on the table. The Wabbit winked at Wabsworth, tossed back his drink and smacked his lips. "Cool clear water!" "Wabbit, Wabbit! Wake up!" The Wabbit had been asleep for some time. His eyes were glazed and his mumbling incoherent. Lapinette shook him. He snored heavily. His chuntering at the end of each snore shook the papers on the desk. Lapinette leaned to hear. "Full fathom five, the Wabbit lies." murmured the Wabbit. Lapinette shook him more vigorously. He started to growl. "Be not afeard, the isle of full of robots." He sat up suddenly and looked around but just as quickly lapsed into sleep. Lapinette gave him a vicious dig in the ribs. "Ah woo, hoo," spluttered the Wabbit. His mouth tasted of brine so he scowled and complained. "I'm all pins and needles. It was the icy water." Lapinette folded her paws. "Wabbit! Have you been drinking?" The Wabbit shook his head. "I was rescued from a moving island." "You were snoring," said Lapinette. "Who me?" said the Wabbit, "I never snore." "Yes, you make enormous snores," said Lapinette, "and there's meaning in them." 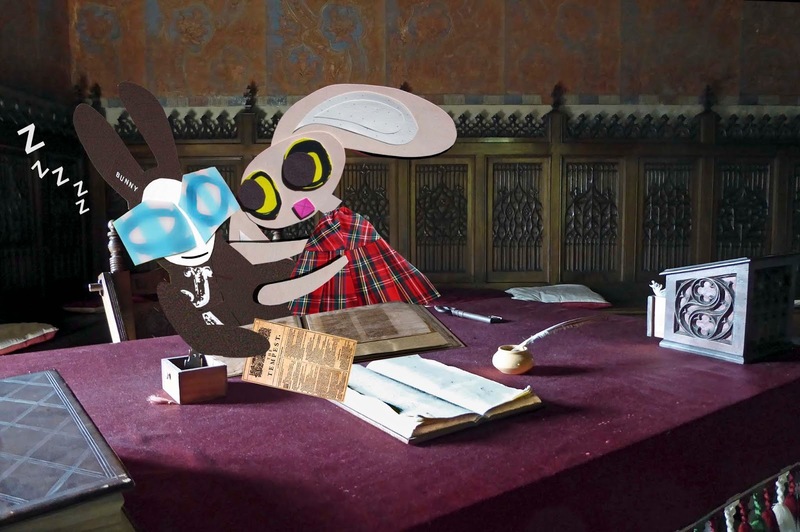 The Wabbit considered for a moment, then lifted the page of the Tempest that had fallen from the tome. Lapinette looked at it and smiled. "So did you find your inner self?" The Wabbit looked rueful and shrugged. "Nearly." 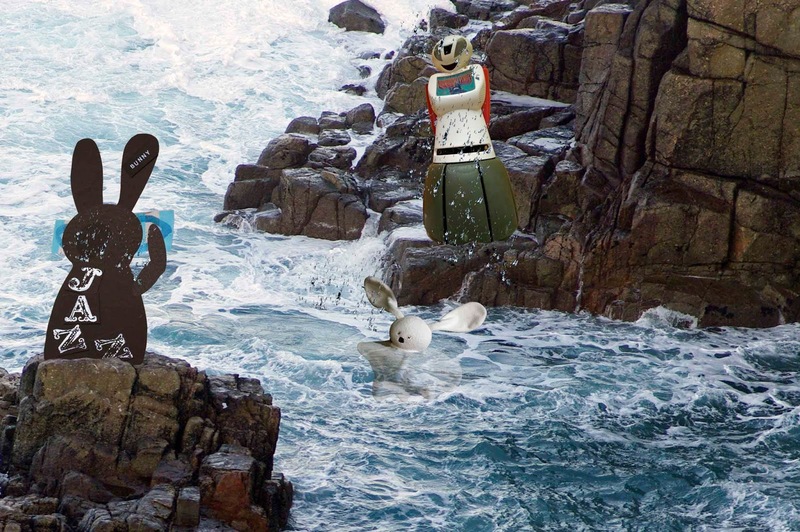 A storm forced the Unut to move away from the island and the Wabbit was cut off. The island was still moving and massive rocks smashed together like gravel in a mixer. The sea rose above the Wabbit's legs. There was only one thing to do. "I have to swim for it," thought the Wabbit. He hadn't a clue where "it" was, but he dived in and started to swim like marsh rabbit. The water was icy and quickly numbed every bone in his body. His brain swam. He began to see a hazy picture of himself on a beach on the Caribbean eating a salad sandwich. The picture cleared and he spotted a waiter dressed as a plesiosaur arriving with beer. The waiter shouted something again and again. He strained to hear it. "Wabbit, Wabbit. Wake up!" Spray hit his head. He blinked water from his eyes and clung onto the waves. "Nessie!" he spluttered. 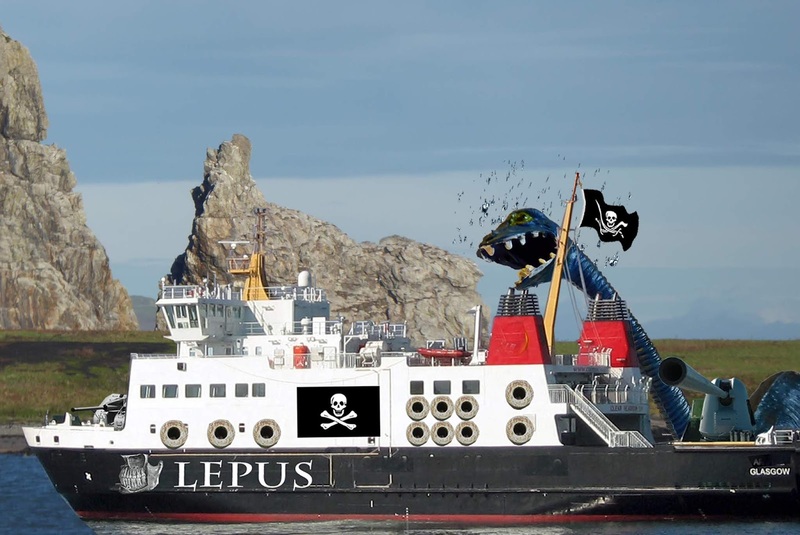 The Wabbit coughed sea from his lungs as he lunged onto a large breaker that rose to meet Nessie's mouth. Now he was hanging by his fur from Nessie's teeth. "Hold yer nose," said Nessie with a muffled voice. The plesiosaur plunge took the Wabbit by surprise. Water rushed past at an alarming rate - then he burst from the surface of calm waters. The Lepus and the Unut floated on a mirror of antique blue. "My ships came in," murmured the Wabbit as he passed out. The sea had looked like a mirror but a storm blew in suddenly from the east and lashed the Unut like a thousand whips. The sky grew black. 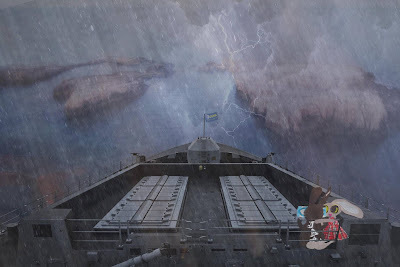 Lightning coursed along the surface and flickered up the hull. The Unut was 10,000 tons and more but the sea tossed it up and down like a cork. The Wabbit strolled calmly along the deck and anchored himself to a rail. Lapinette scurried out and did the same. They peered into the distance. "It's good to mess about with boats," smiled the Wabbit. Lapinette thought of the pedalos in the park. "Adventure in the open air," she gasped. Her stomach lurched but her eyes swept the horizon nonetheless. "What's that?" "Something that shouldn't be there," muttered the Wabbit, "Dead slow." signalled Lapinette. But the Unut was already slowing to a standstill. Three islands shrouded in a soaking mist danced in the sea. 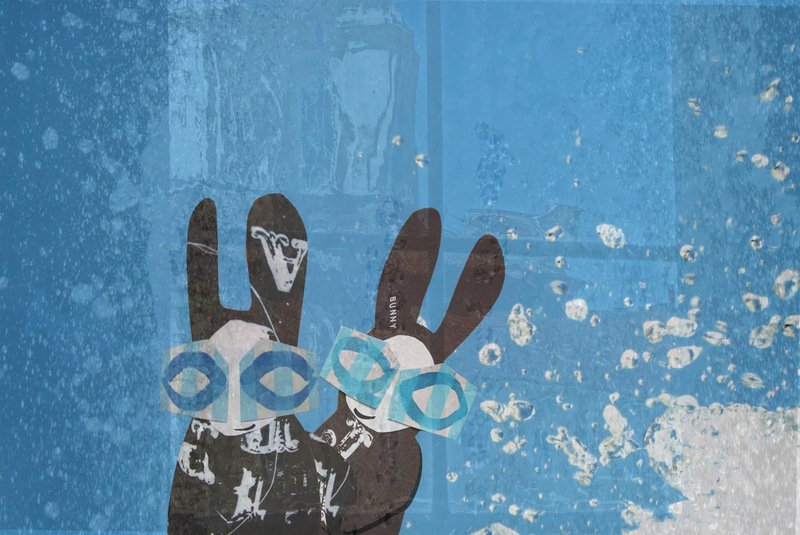 "Dead slow ahead," signalled the Wabbit. The Unut moved forward. So did the islands. They're floating," gasped Lapinette. The wind roared and tore at their fur, snatching their voices and returning them mangled. "A plague on this howling," shouted Lapinette." "I've no mind to sink!" yelled the Wabbit, "Full ahead!" The islands pulled away and parted. as the vast bulk of the destroyer tore a path through the perilous waters. The Wabbit grimaced at the sea. "Parting is such sweet sorrow." Captain Jenny was first to report the sighting of a likely island. But there was nothing there. Not a seagull, not a gannet, not even a crab. "Curious," thought Jenny. "Hail the island," she shouted. The Lepus let out three klaxon blasts, loud enough to wake the dead. The island remained still as the Lepus circled. Jenny considered a landing party but something made her draw back. "Move away," she ordered. The Lepus moved out a few metres but stopped. Propellers thrashed in an unyielding sea that clutched the Lepus in a grip of steel. Engines died. The breeze stopped and the flag hung limp. The Lepus pitched lazily up and down like a fishing fly. Jenny picked up the radio but it was dead. Only then did she feel a tug from below that dragged the Lepus close to the rocks that surrounded the island. She tried to compensate but it was useless. Then she felt a push in the opposite direction - it was a bit stronger than the pull. Jenny saw water thresh around a large hump, which lay close against the hull. Now a steady force pushed the Lepus sideways out to sea until it was some distance from the island. Only then did Nessie's head break the surface to an ear-splitting cheer from the crew. 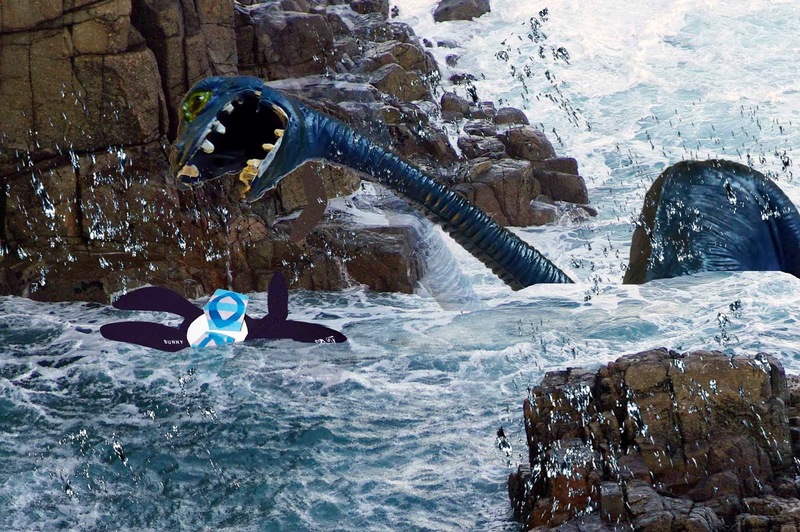 "Nae problem," said Nessie.